"Whether you’re looking to list your home or buy one, Brenda will always go the extra mile to get you the best offer possible." Although Brenda hails from the Midwest, she’s actually a southern belle at heart. But don’t let her sweet demeanor fool you. There’s a pit bull hiding behind that poodle skirt. Which is why Brenda is My Historic Tampa Team’s fearless leader. Whether you’re looking to list your home or buy one, she will stop at nothing to get you the best offer possible. 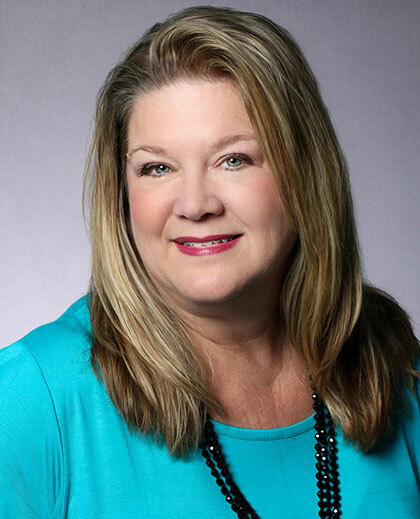 Having worked in the real estate industry since 1998, Brenda has a passion for vintage homes in Tampa and proudly owns a 1928 two-story Mediterranean residence in Tampa Heights. When she’s not perusing estate sales and antique shops, you’ll find her tooling around on her computer. That’s because she is the queen of all things technical and our Web site wizardess. Brenda’s also a negotiating goddess, organizational guru and master of MLS. No wonder she is consistently a top seller.